The Graviton Forfeit is a Nightstalker exotic that is quite proficient in making your Hunter even more stealthy than it was more and even harder to hit. 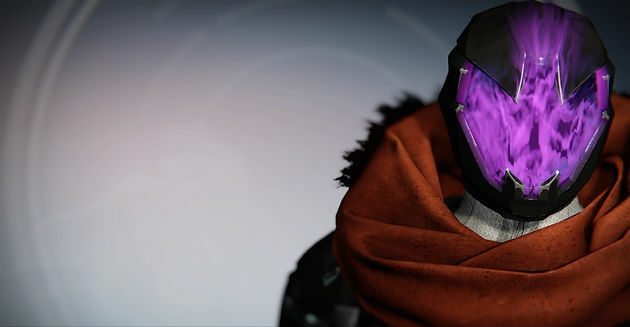 This exotic helmet grants the Nightstalker perk, Shadestep for free, with the perk, Elusive Shadow. For those of you who don’t know – which might be all of you, who knows, Shadestep is a Nightstalker evade technique with which you dive in a given direction (based on the way your joystick is pointed), in a splash of purple mist. This is activated by double tapping the crouch button in quick succession. It essentially is your Hunter fading in and out of the void in a rapid fashion to either dodge attacks, gain some visual intel without exposing yourself to risk or lets face it, just to have fun. This exotic helmet is perfect for both PVE and PVP with the dodge feature coming in especially handy in PVP. The ability to dive quickly in a given direction, that does not expose you to much danger can be the perfect way to check if a sniper is watching that area without poking your head out and receiving a bullet between the eyes. It can also be an efficient way to escape from an oncoming attack as it is quite disorienting to watch your opponent disappear and can more the most part allow to either escape or turn a disadvantage into an advantage. The Graviton Forfeit is quite an alienating yet visually stimulating piece of headgear. It does not have much to it but draws people in with its charisma. The purple light, which clearly represents the void is almost vivid and bright and almost overflowing the boundaries of the exotic. This characterises the untameable nature of the void as well as the almost limitless power of the void. The shape of the faceplate, having the pointed pieces that intrude into the magenta filled space has spider like qualities and not unlike a spider convey hostility and warning to those who witness it. The Graviton Forfeit can be gained from an exotic helmet engram or purchasing it from Xur if you are lucky enough for him to have it in his inventory.